Pygmy Hedgehogs are often confused with European Hedgehogs. European Hedgehogs are found wandering the streets at night or in your back garden, they are wild animals and must never be kept as pets! 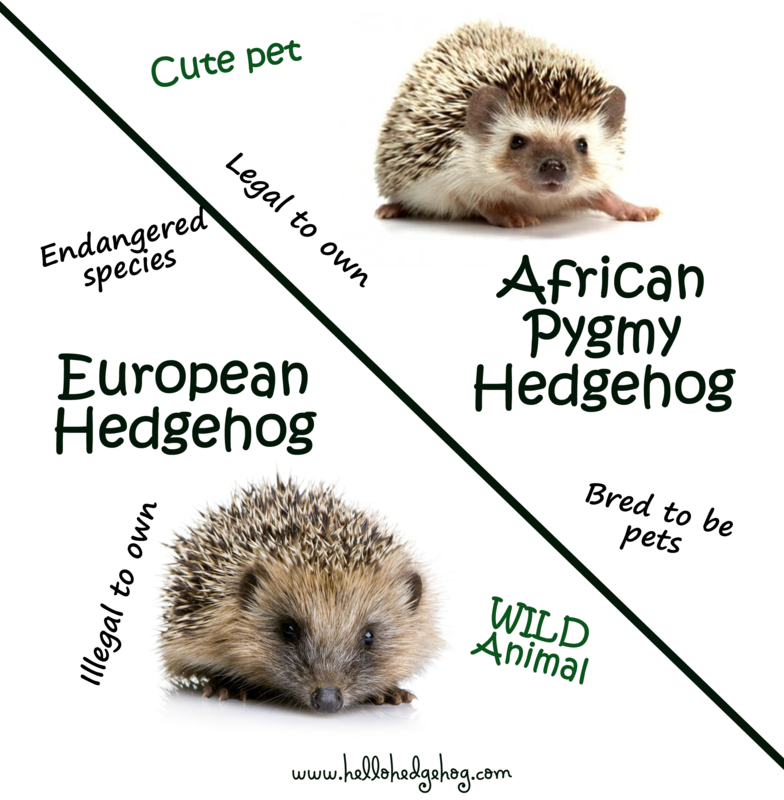 Keeping a European Hedgehog hog is illegal in every country. This is because they are an endangered species and also because it is just not fair. European hedgehog can’t cope in captivity and will surely die. They are also likely to be infected with flees or mites. If you come across an ill or injured one you should contact The British Hedgehog Reservation Society for information on what to do. 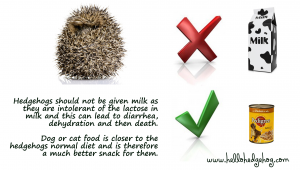 Wild hedgehogs shouldn’t drink milk. A lot of people get wild hedgehogs visiting there garden at night time. A common mistake is leaving a saucer of milk out for them. 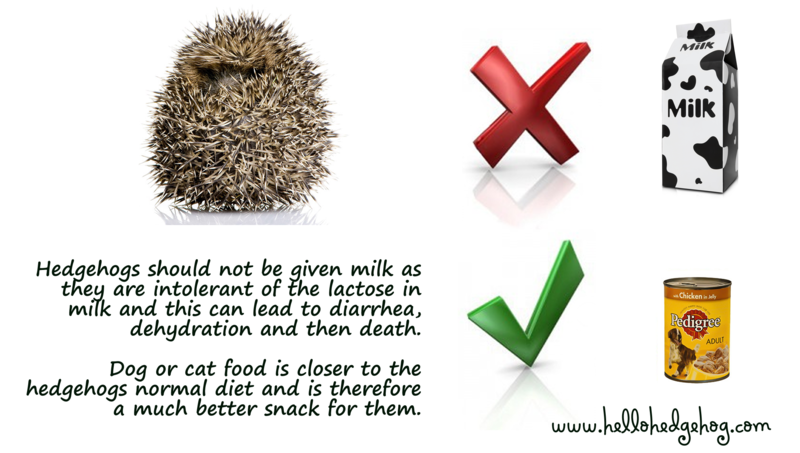 Hedgehogs should not be given milk as they are intolerant of the lactose in milk and this can lead to diarrhea, dehydration and then death.Dog or cat food is closer to the hedgehogs normal diet and is therefore a much better snack for them. 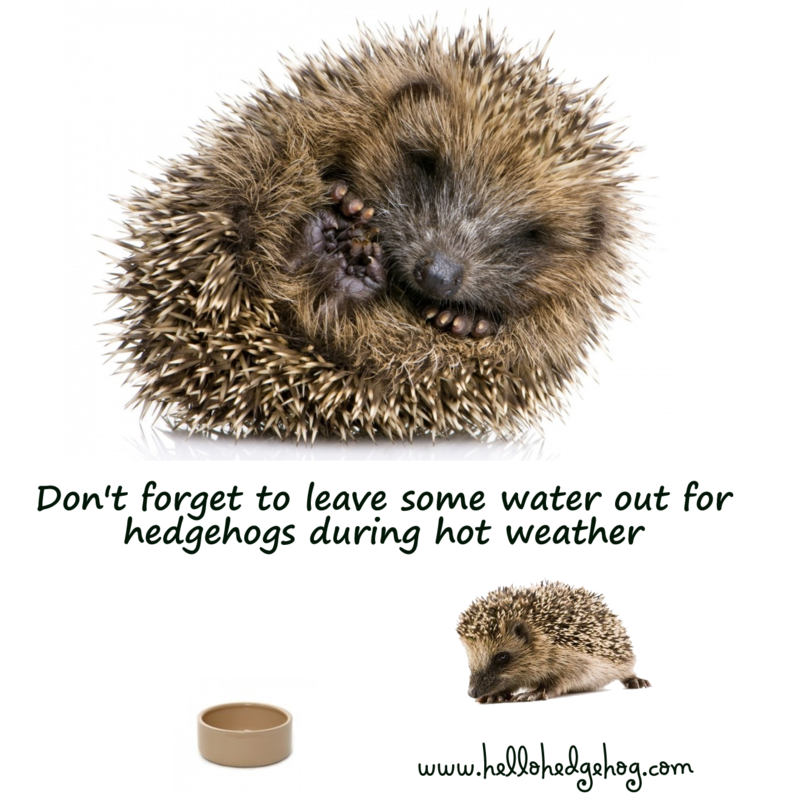 Wild hedgehogs only come out in the daytime if there’s a problem. 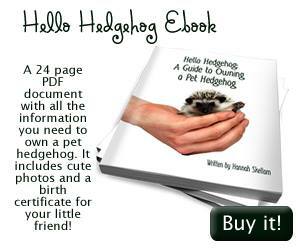 If you find a hedgehogs who needs your help. put it in a in a cardboard box with newspaper and an old towel. 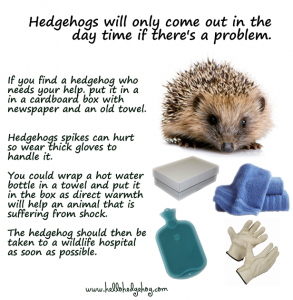 Hedgehogs spikes can hurt so wear thick gloves to handle it.You could wrap a hot water bottle in a towel and put it in the box as direct warmth will help an animal that is suffering from shock. 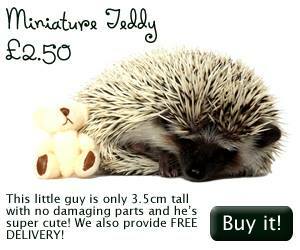 The hedgehog should then be taken to a wildlife hospital as soon as possible. Hello Hedgehog does not breed or sellhedgehogs, we just want to share information on these beautiful creatures and make sure they get cared for properly. 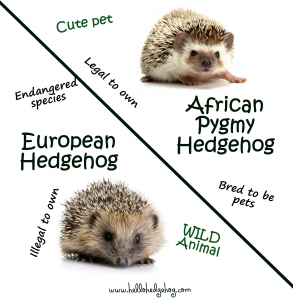 In future we will be linking viewers to reputable breeders all over the world so if you would like us to share your website please do get in touch.based in the UK, the information we provide applies to all African Pygmy Hedgehog lovers, no matter where in the world you live! Please let us know if there is a particular question you need answered, a topic you need covered or if you think we might be mistaken with any of our facts! You can contact us here or sign up to our forum.If you want to share any images of your own hedgehogs please email us and we will include it in our new Gallery!